Certifications de maîtrise Google Analytics et Adwords, certification du Project Management Institute (CAPM, PMP) : ce MSc montre d’emblée toute sa dimension web. 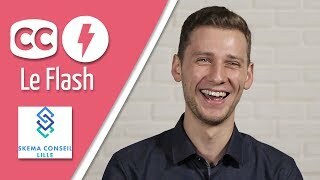 Les cours de management de base sont complétés par une expertise sur internet et sur le web digital en général (d'où le nouveau nom du programme : MSc Digital Marketing). Le programme s’intéresse à trois dimensions en particulier : project management, new technologies and web-marketing, et development of new business ideas. 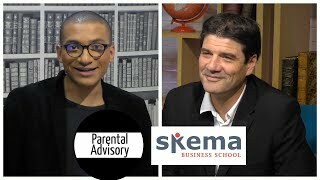 SKEMA insiste sur les mises en pratique en situation réelle grâce à un partenariat avec de nombreuses compagnies (comme Nike, Orange ou IBM). What are some of the companies we get to work on the program business projects and what are the assignments? Can you give more information on the additional Google and PMI certifications this master's delivers? If we are doing real work for companies, do we get paid for it? I know you say there are a lot of tech companies on the French Riviera, but are there more in Paris? What scholarships do you offer to help with tuition? How much direct contact do we have with the company's on the real-world project? Do grads ever get hired? Where do the teachers come from? Are they academics or full-time employees in companies? Do I need to speak French for this program? Are classes offered? I have been working as a social media community manager the last three years. Can my professional experience validate related courses? There are a lot of classes on project management in the second module that all sound the same. What's the difference? Where do students usually live? I've heard it's hard to find housing as a foreigner. What's the average salary for jobs after this program? What's the average of scores on the GRE and GMAT of applicants? The Expert Question: The job market for digital marketing jobs seems to be growing but becoming more and more saturated with qualified candidates. How does your program position graduates for top consideration? What's student life like at Sophia-Antipolis? Are there associations or activity groups? Does this school have career services or job fairs to help us find internships and jobs?